Although our hostel has lots of beds and is centrally located, it is still full sometimes or you might actually want to stay further away from the center of town. To make sure we offer something for every possible taste, we selected for you one budget hostel, one middle-priced hotel and one luxury hotel in Bocas del Toro. You can contact the following hotels yourself or let us do the job for you. 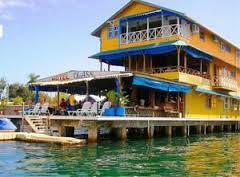 If you contact them yourself, we recommend you tell them that Spanish by the Sea – Bocas referred you to them. 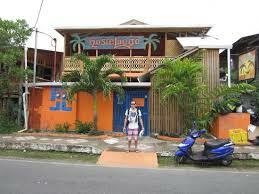 Hosteluego, a little bit further away from the center of Bocas than Spanish by the Sea but a very secure, comfortable and well organized fun hostel with private rooms and dorms. 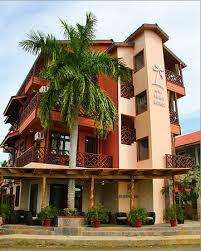 Hotel Las Olas, a three story wooden hotel located on the water, is only a short, four minute walk from the school. It is famous for its beautiful design and gorgeous views and sunsets over the Caribbean. All 25 rooms are fitted with air-conditioning, cable TV and a private bathroom with hot shower. The Suites at Palma Royale, located right in front of the school are highly recommended if you want to spoil yourself a bit or need a comfy, quiet space to work & study. You can make your selection between the economy suite, regular suite, double suite, deluxe suite and penthouse Suite. Breakfast is always included!